The Natural Garden was created to encourage visitors to rest and reflect on the essence and brevity of life. 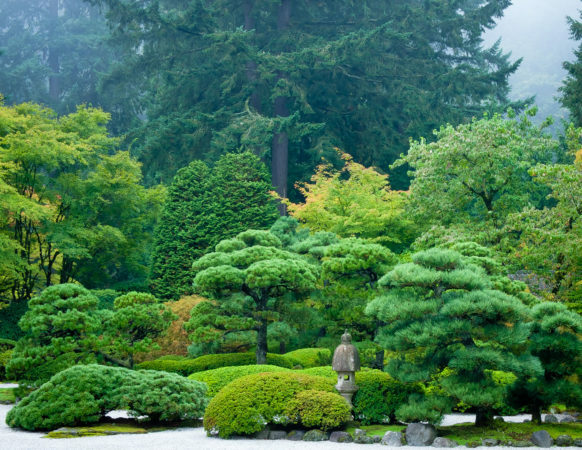 It is the most contemporary of the original five gardens, done in a style referred to as zoki no niwa, and includes many plants not traditionally associated with Japanese gardens. Notable is the use of vine maple, a small tree indigenous to the Pacific Northwest. 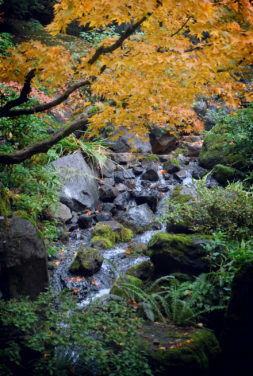 This garden focuses primarily on deciduous plants and is laid out to present seasonal change. From the budding new leaves of spring to the coolness of summer shade. From the changing colors of autumn to the naked trees of winter. 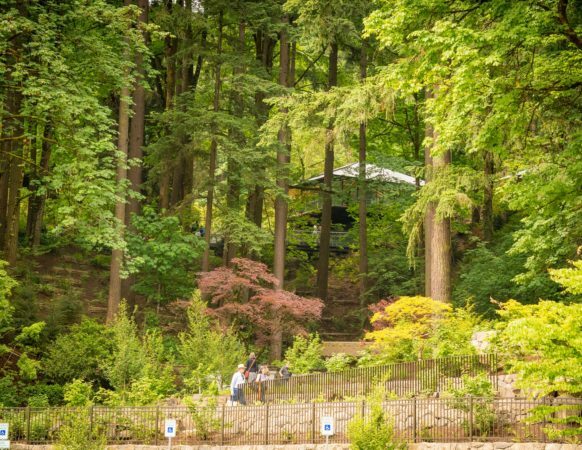 Originally called the Hillside Garden, the denseness of the trees and shrubs here evoke a wildness not seen elsewhere in the Garden. 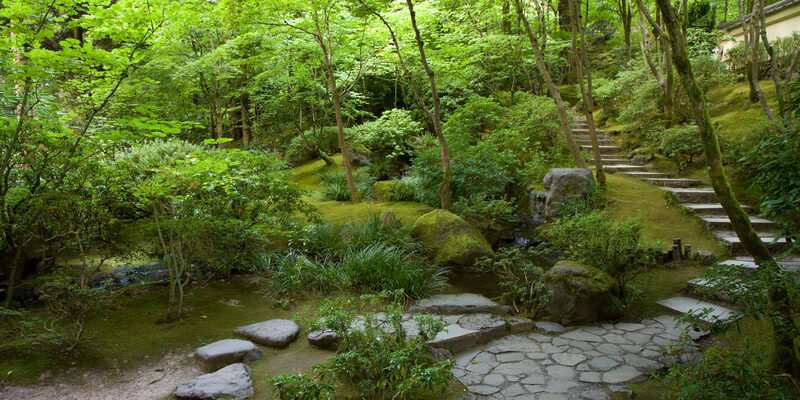 This area was originally planned by the Garden’s designer, Professor Tono, as a moss garden. 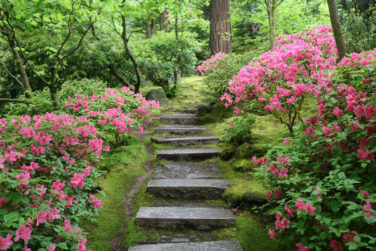 However, the terrain proved inhospitable for this usage and the garden was redesigned in the early 1970s and then again in 1990.